Find a new Ram 1500 at your local Anchorage, AK Ram dealership. 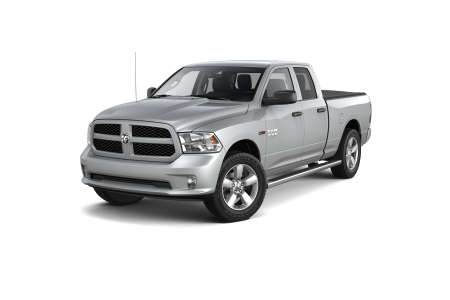 View NEW Ram 1500 Inventory	Looking for a USED Ram 1500? Overview If you're looking for a truck that can stand up to all types of weather, look to the Ram 1500, available now at Anchorage Chrysler Dodge Jeep Ram Center in Anchorage, Alaska. With unmatched towing capability, impressive fuel economy, and a powerful engine, the Ram 1500 is ready for whatever job you need done. This truck is meant to take you from the road, to work, and off into the tundra on the weekends. With the Ram 1500, you get hauling capacity and a wide truck bed that give you the real utility you desire from a Ram truck. See for yourself with a test drive at our Anchorage, AK Ram dealership today. Why Us? Anchorage Chrysler Dodge Jeep Ram Center aims to provide our customers with the best service. Our vehicle sales associates and automotive financing teams are experienced and dedicated to serving you. Whether you're looking for a new or used car, truck, or SUV or would like to know more about auto financing and leasing, we'll be here to answer any questions. Call or visit our Anchorage, AK Ram dealership for a free test drive and experience how we can help you find the right car for your lifestyle! When it's time for your vehicle maintenance appointment, trust the pros at our Anchorage, AK automotive service center. Our experienced, certified auto technicians are able to quickly service your car with care. Schedule a service appointment with us for an oil change, fluid flush, brake check, tire rotations, or even extensive body work. Give us a call or schedule your next auto service appointment online today at Anchorage CDJR Center!